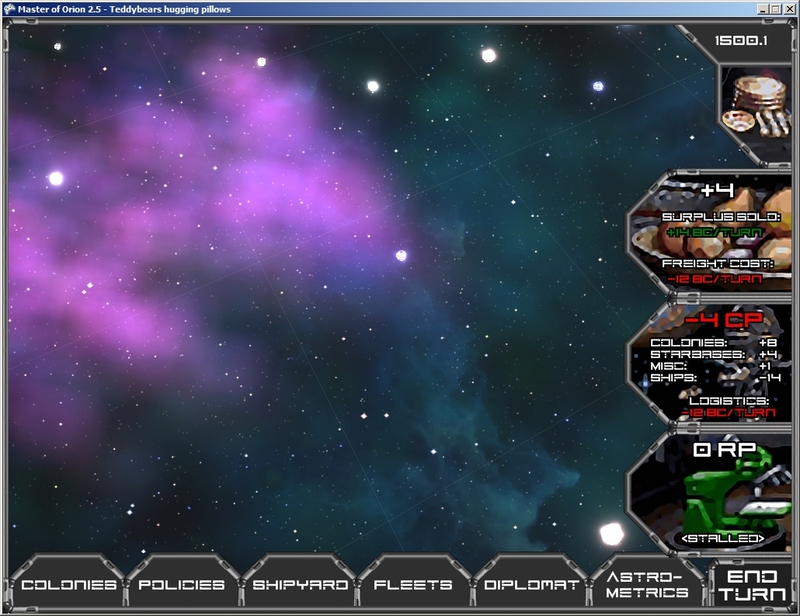 Colony screen with new improvements. Buildings that aren't built yet show with scaffolding around them and production is used to build them over time. The ore deposit is now crystals sticking out of the ground. 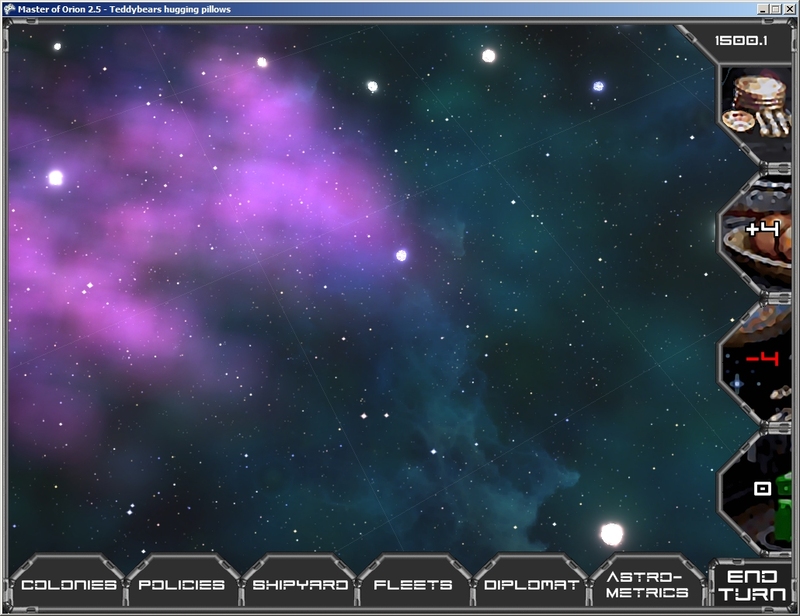 Continued work on the user interface. 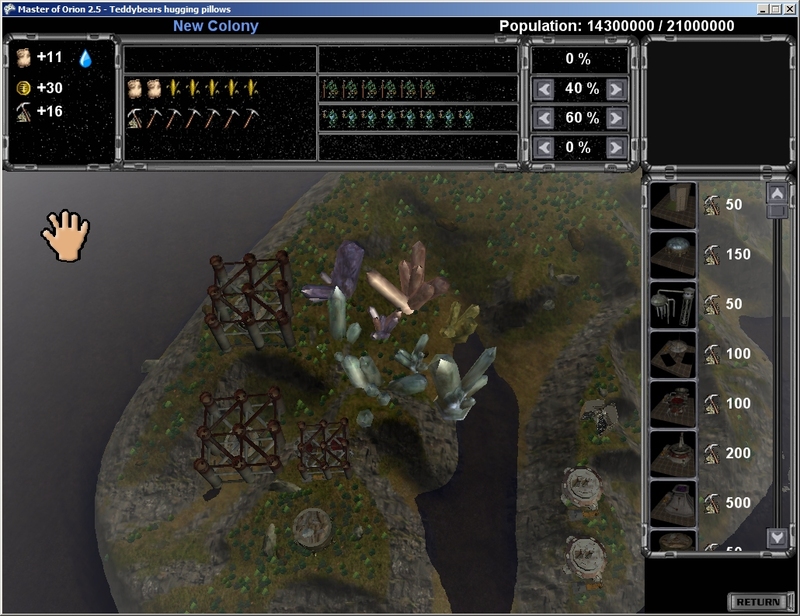 This screenshot shows the panels on the right in their default positions, showing net food production, command points and research points. The same screen with the panels scrolled out by clicking on them. Some of the mechanics not impemented for this yet and just using placeholder strings. Font may be hard to read but can be changed easily. Design is good though. This website and all its contents are intellectual property of Nyphur, as determined by UK and international copyright law. Contact Nyphur with any issues or questions you have about the site or its contents.